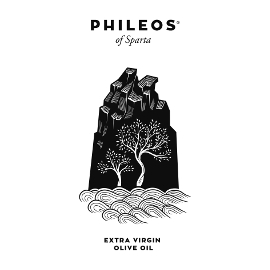 Organized by the Filaios Olive Oil Society in collaboration with Greek governmental and private organizations and institutions, the Olive Challenge is a contest for Greeks who want to do something new with olives or olive oil. A variety of entries were welcomed, submitted, and honored, ranging from a digital system to help control pests during cultivation to unusual new products such as olive oil drops, and a cloud platform to safeguard quality during storage and delivery. One team presented plans to manage wild olive trees in public forests, aiming to create jobs and generate income to support local charities. Among the many striking plans, innovations, and inventions related to various aspects of the Greek olive oil and olive sector, the Olive Predictor received the most votes from the audience and the advisory committee. Developed at the School of Pharmacy of the University of Athens by Prokopios Magiatis and his research team, the Olive Predictor is an array of patented devices that enables producers to predict the quantity and quality of oil their olives will produce in a very short time, using just a small amount of fruit. As Magiatis explained to Greek Liquid Gold, this invention enables producers to make “the optimal choice about the harvest time to achieve the optimum ratio of quantity and quality, in particular as regards the content of the beneficial ingredients” mentioned in the European health claim about olive oil’s phenolic compounds according to EU regulation 432/2012 – in this case, the oleocanthal and oleacein content. More specifically, Magiatis says, “the device consists of two main parts. The first part is a miniature mill that includes a mini-grinding mill, a mini-malaxer, and a centrifuge system capable of producing a sufficient quantity of oil even from 200 grams of fruit. The second part and the great innovation of the system is the Aristometro device,” which is small enough to hold in one hand. With as little as 7 grams of oil, in just 15 minutes, this device can predict the oleocanthal and oleacein content of the oil to be produced, and therefore can determine whether the oil is likely to be eligible for the European health claim. The Aristometro device takes the same scientific team’s earlier award-winning invention, Aristoleo, a step farther. Judged the best invention in Greece in 2016 by the Association of Greek industries (ΣΕΒ) and Eurobank, the Aristoleo test kit also allows producers to measure oleocanthal and oleacein levels at the olive mill. However, as Magiatis told Greek Liquid Gold, “it is based on a visual comparison of the obtained color with a printed scale. The visual method was based on experience.” Developed after another year of research, the Aristometro device enables inexperienced users to obtain an accurate reading very quickly. Others agreed. Forty proposals were submitted and evaluated, and the top fifteen teams presented their projects to a live audience at a Demo Day at the Food Expo at the Metropolitan Expo Center near the Athens airport on March 11. That day, the advisory committee voted online along with the audience, whose votes accounted for 30% of the score, considering the concept, innovation, team, and business development plans. With so many good ideas, it proved too difficult to select the expected seven winners, so the ten best (described below) were honored. Their prize is five months of mentoring, advising, and networking, with marketing and technical help tailored to the needs of the winners. The Olive Predictor enables producers to predict the phenolic content and amount of olive oil they will produce before harvesting their olives. The procedure involves very few olives, a low cost, and a short time for the production and testing of a small amount of olive oil. 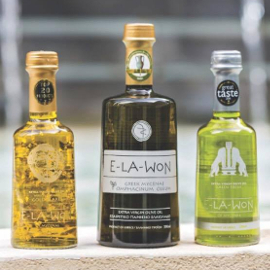 The production of these organic unsalted olives takes place right after the harvest, before the product is stored, without water or brine, inside a desiccator. This method preserves the initial level of oleuropein, while the fruit maintains an intense flavor and aroma and can be stored for a whole year, without the use of any preservatives or additives. The OliveFlyNet is a digital system that helps identify the number of olive flies and create a map for targeted spraying using GPS technology. Decision-making algorithms take into consideration multimedia data on the microclimate, the time, the place, and the situation. The services include digital olive grove applications, electronic traps, calculation of the number of olive flies, spraying intensity maps (based on estimated risk of attack), monitoring of meteorological conditions in olive groves, and guidance and tracing of spraying. This project focuses on the development of innovative olive oil products in powder form, enriched with bioactive plant extracts, for use in the cosmetics industry, the food processing industry, and molecular gastronomy, using a spray dryer technique. Perla (meaning Pearl) Olive Oil Drops are a molecular gastronomy product. They can be used to aesthetically complement dishes in food styling, in restaurants, at home, and in the tourist market. Available in six different flavors, the drops are completely natural. 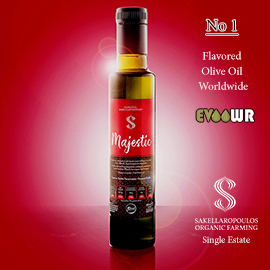 Made of extra virgin olive oil with natural extracts or aromatic oils captured inside a natural sodium alginate bubble made from algae, they are produced at a low temperature in order to maintain the quality of the olive oil. ISTMOS is an IoT (Internet of Things) platform that allows stakeholders in the perishable food supply chain to monitor the most critical parameters that affect product quality during storage and transportation. The cloud platform safeguards quality by continuously tracking temperature, humidity, and luminosity conditions or other pre-defined parameters, issuing real-time alerts when critical thresholds are reached, providing reports and analysis, and delivering traceability information down to the level of each individual item (such as a palette of goods). Management of unused wild olive trees (agroelia in Greek) to benefit society. This team aims to produce wild olive products and use the profits from these superfoods to offer financial support to local charitable institutions, especially nursing homes and orphanages, in cooperation with municipalities and regions. At the same time, the team intends to help protect and care for forests where these wild olive trees grow, opening paths to areas that are inaccessible and providing jobs to local communities. An olive oil based regenerative cream that can be used for pets after surgery, cuts, or injuries. Thanks to Filaios for the photos from the Olive Challenge Demo Day.